One of the hardest decisions any parent has to make is how to pick a childcare provider for their child. For me, that decision weighed on my mind even before I started Maternity leave. I have spoken on several occasions about the amount of travelling my previous job required and I needed to find a childcare provider that would be flexible to my changing schedule. Having no clue where to start another mum recommended I check out www.childcare.co.uk where there are profiles for every type of childcare from Nannies to Nurseries. My colleagues in London all solved the problem of childcare by employing live in Au Pairs who started work at 6.30am and finished at 7 p.m after putting the kids to bed. Sadly as we lived in a 2 up 2 down Terrace house in Preston we didn’t even have the room for a cat, let alone another human being in the house. 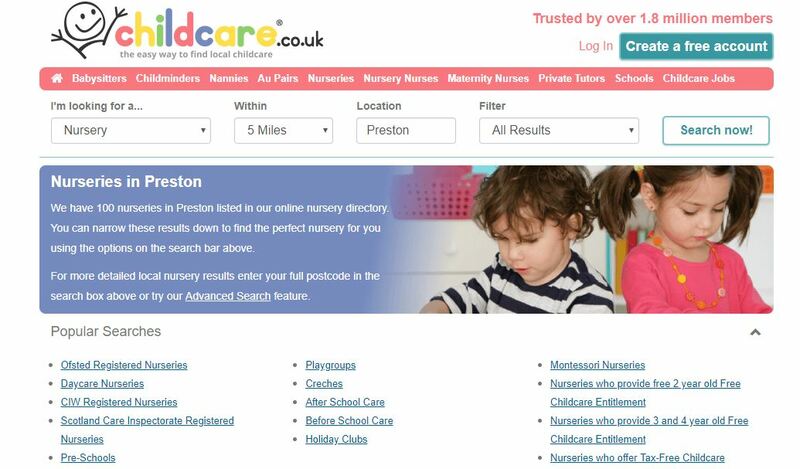 After looking through the many childcare providers on childcare.co.uk we were able to easily see that sending Harry to a nursery would be our best option. At the time I think there were about 60 nurseries listed on childcare.co.uk in our area and thanks to the detailed profiles we were able to establish very quickly which ones could offer us the flexibility and extended hours we required. I also liked that the site featured honest reviews from other parents. From there we took our short list and viewed each nursery before deciding on a lovely nursery attached to a private school. Harry had a very happy 18 months at that nursery until we moved back to Blackpool and the search for a new nursery started again. We followed the same process on childcare.co.uk until we found a small village nursery that Harry remained at until he went to school. After I gave birth to Charley everything changed and I knew I no longer felt the same about my job. For a short time, I returned to my job and Charley went to the same village nursery as Harry had previously. While I did my retraining I took Charley out of childcare and she stayed at home with me which was hard for both of us. Charley is a very energetic child who needs a lot of interaction so as soon as I accepted my new job I was back on the site . This time I wanted a nursery with plenty of open space and plenty of activities to stimulate Charley. If it hadn’t had been for childcare.co.uk I wouldn’t have to know about the brand new Forrest School nursery that had just opened a few miles away. It was the 2nd Forrest School nursery opened by an already established childcare provider so it was a very easy decision to place Charley in their care. Charley is now in nursery 2 days a week and has truly flourished within the environment. We recently used Childcare.co.uk again to find Harry a private phonics & maths tutor. Being one of the youngest in the class we felt a few extra sessions with a private tutor over the summer holidays would help prepare him for Year 2 in September. Once again by looking at the profile of each, we were able to see who would meet Harry’s needs the best. Harry is now having private lessons here at the house once a week with a very warm and caring lady we interviewed after seeing her details on the site. Something I have been seriously considering recently is employing a Mother’s Help. With things getting busier in my new career and most childcare ending at 6 p.m, having someone to pick the kids up, feed them and entertain them a couple of nights a week would be the answer to a lot of my problems. 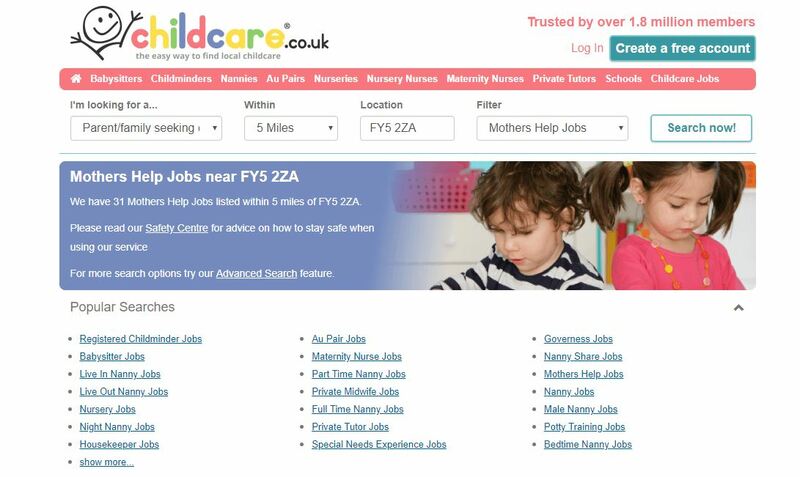 On Childcare.co.uk you can place an advert looking for help within your local area and applicants can send you their CV’s and references. It’s really great that over the years whenever I have needed to look for any type of childcare services I have been able to find it all in one place at Childcare.co.uk. It has taken the stress out of searching for hours on the internet at individual sites and the advanced details on the profiles along with the reviews make the suitability much quicker to establish. So, next time you are looking for a new nursery or like me need an extra pair of hands to help with the kids at home check out Childcare.co.uk and take the stress out of making the decision. * This post was in collaboration with Childcare.co.uk but all my thoughts and opinions are my own. 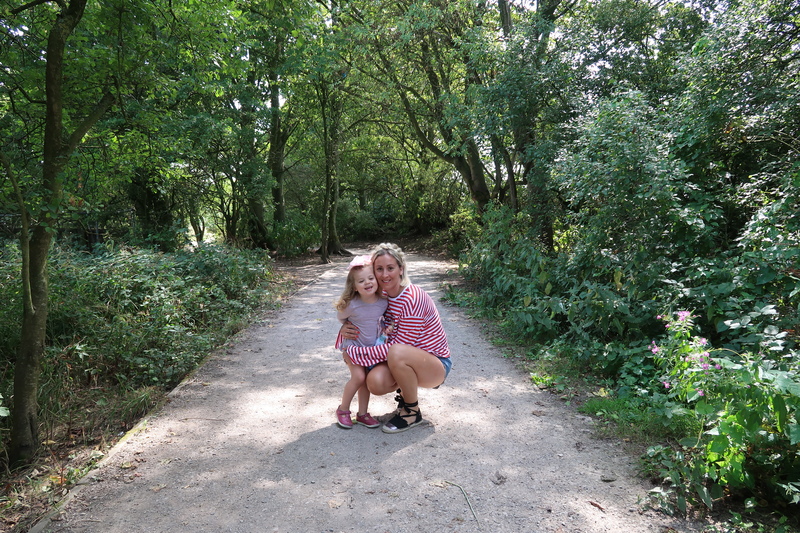 "Our Spa Break At Formby Hall – The Mud , The Bad & The Yummy"